Andy joined BND Commercial as part of the Goldstine Knapke acquisition in August 2010. He began his career in commercial real estate in 1984 and has more than 25 years in the industry. In 2007, Andy joined as a partner in RCI Development, an affiliate of BND that specializes in the development of residential subdivisions, manufactured housing, self-storage facilities, retail shopping centers, multi- and single-tenant retail buildings, industrial parks and sports centers. His most notable projects include the development of Airport North Office Park in Fort Wayne, 8 @ 69 Retail Development in Auburn, Ground Effects and Group Delphi near the GM plant and the sports complexes near Glenbrook Square Mall. Andy graduated from Indiana University in 1980 with degrees in finance and real estate. After a three year stint in Florida developing condominiums, he returned to Fort Wayne and continued working in real estate sales and development. 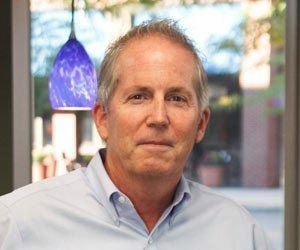 In 1995 he partnered with lifelong friend Todd Ramsey to form Auburn Hills Development, a company that has successfully created more than a dozen residential subdivisions. Later they decided to expand their business to include commercial and industrial projects with the creation of RCI Development.